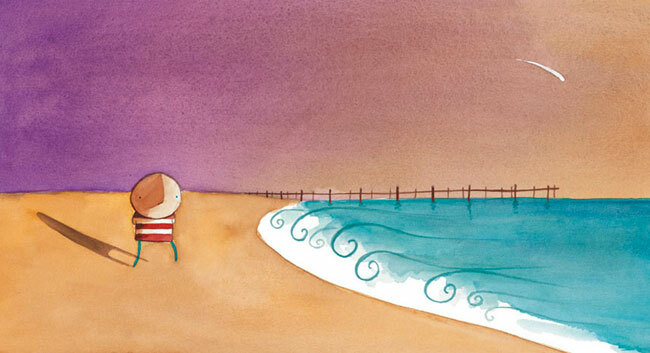 Oliver Jeffers is one of my favourite children's book creators. 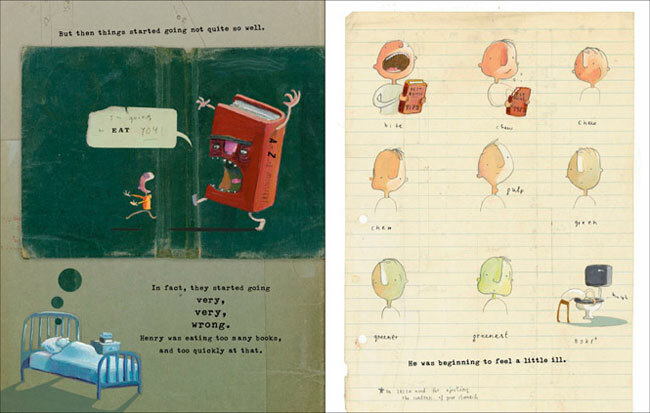 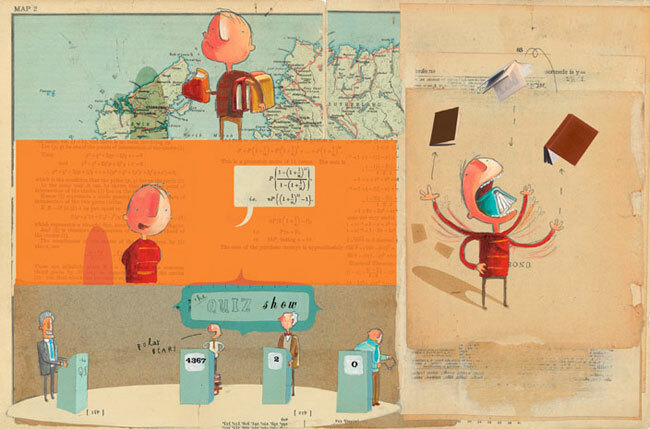 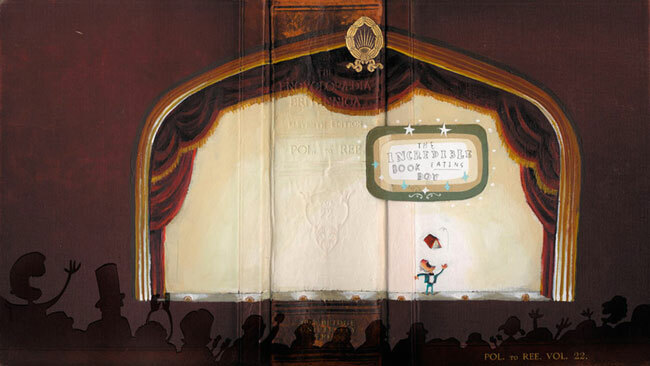 These images are from his book, "The Incredible Book Eating Boy", a book about a boy who becomes smarter and smarter, the more books he consumes. 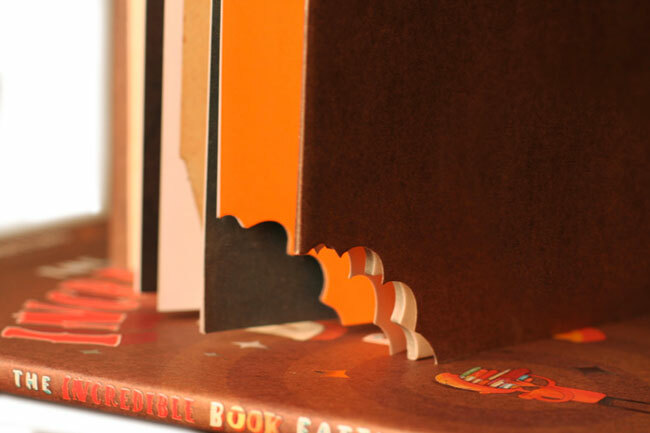 Jeffers' series of books are delightfully illustrated, and feature some beautiful hand-drawn typography too.